Hello Osaka! 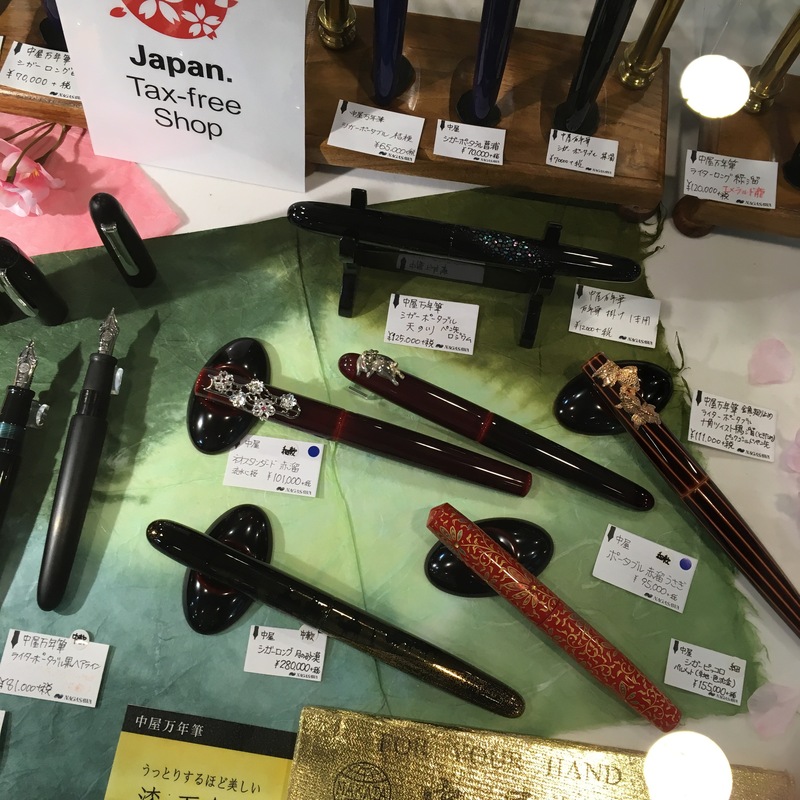 This follows my (Katherine’s) posts on pen shopping in Tokyo and Kyoto. 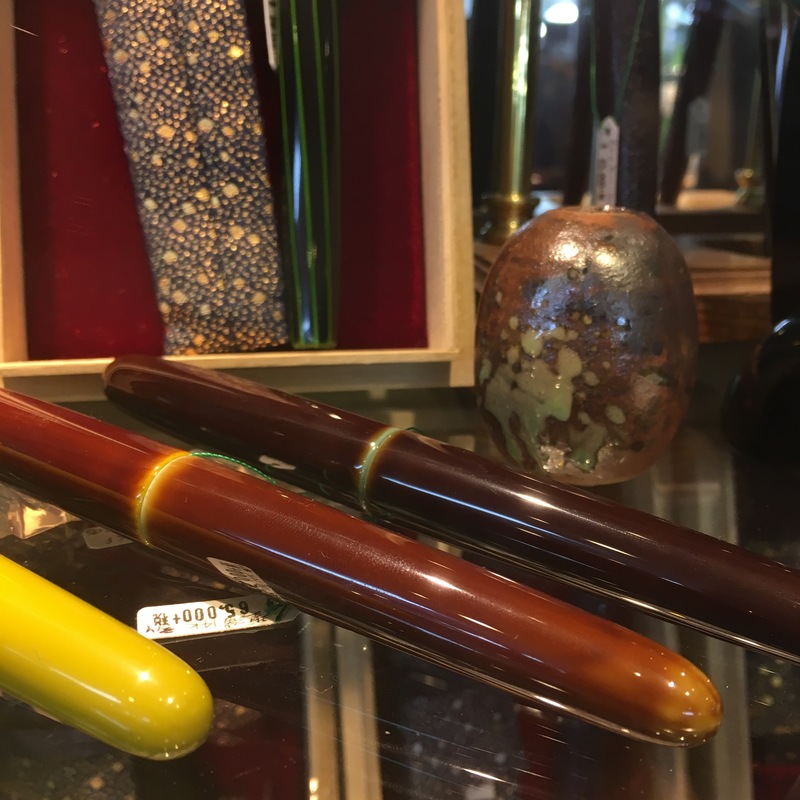 My very first stop was at Daimaru, but I apparently forgot to take pictures, and their pen selection was pretty underwhelming. Instead I bought a bunch of Jinbei-san stationary. And a plush. I do need things to write on! Next up, Hankyu! 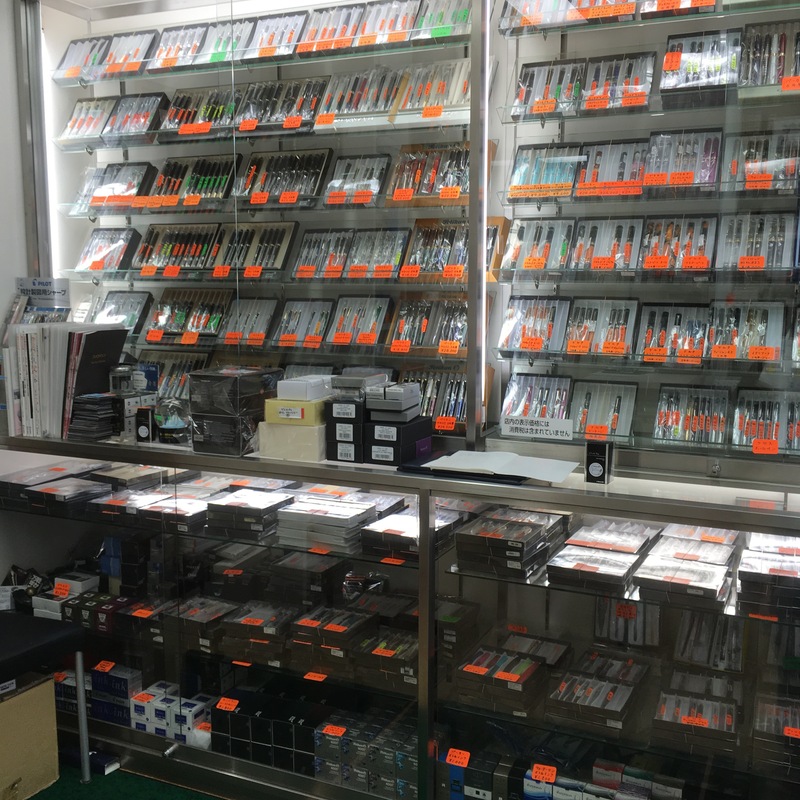 This store is in Hanshin-Umeda station (right next to the JR Osaka Station), which makes it easy to access (Hanshin is also in the area, and Nagasawa is within walking distance). 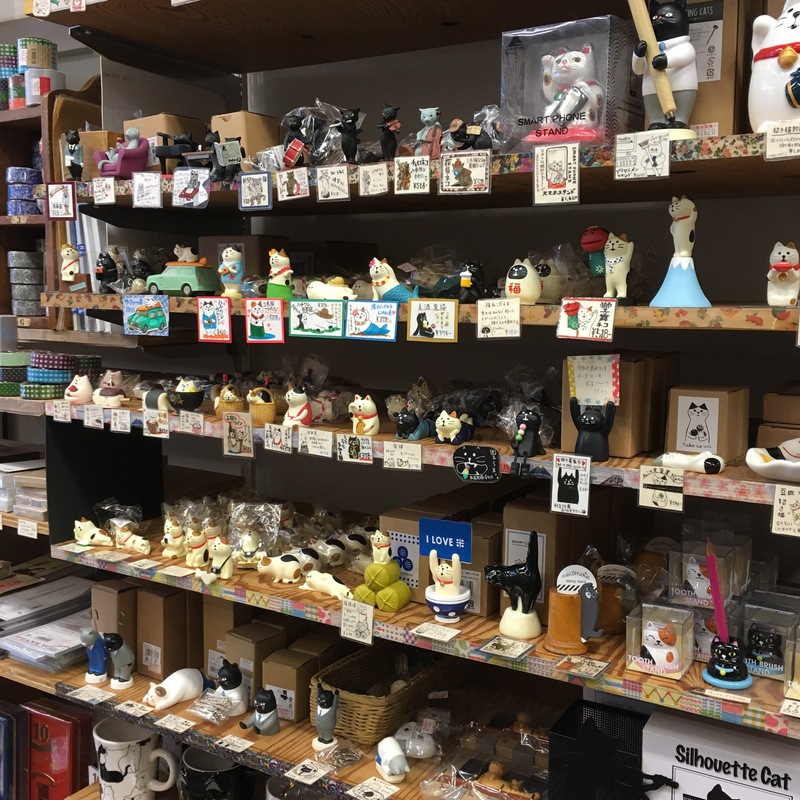 I think there’s also a Tokyu Hands nearby. 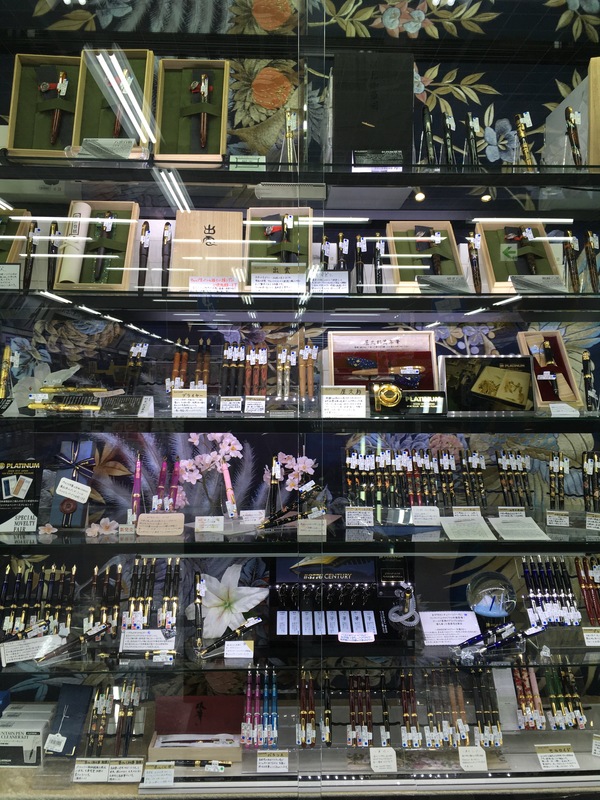 Hankyu stocks a large variety of pens — including some Nakaya and high end Sailor stuff. 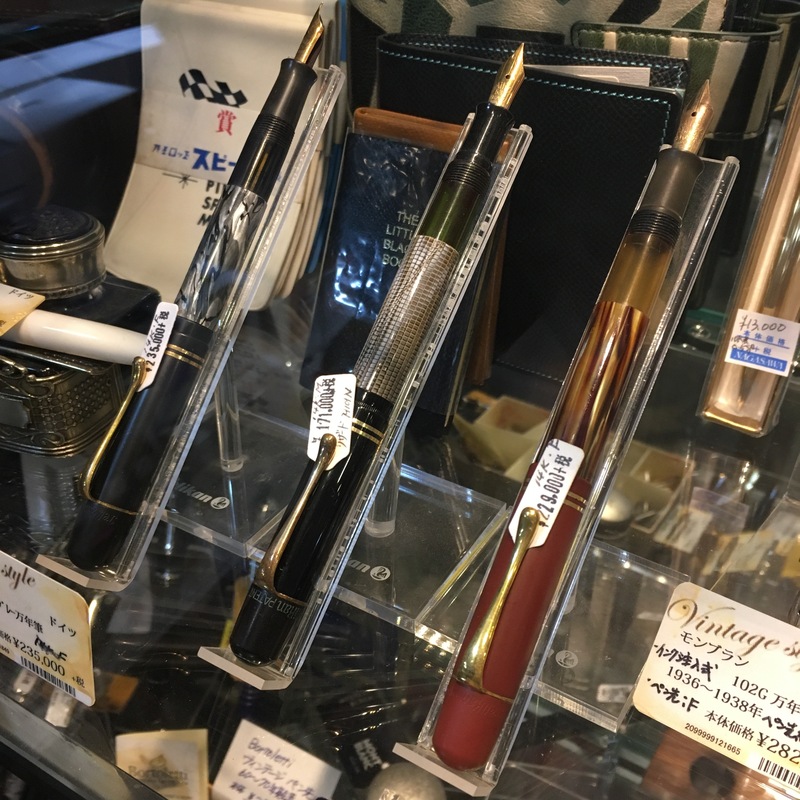 They still had a Sailor 105th year Zuisei in stock! 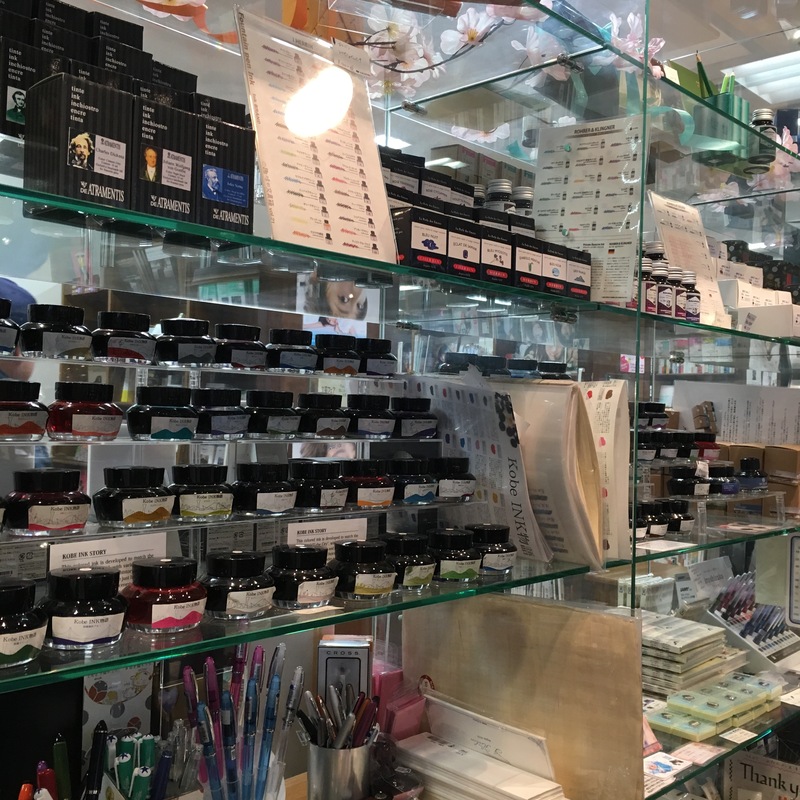 And their own store exclusive inks! Swabs and swatches will be coming soon. I got all three. I have great self control. Hah. And a selection of converters and inks. And, of course, their inks! 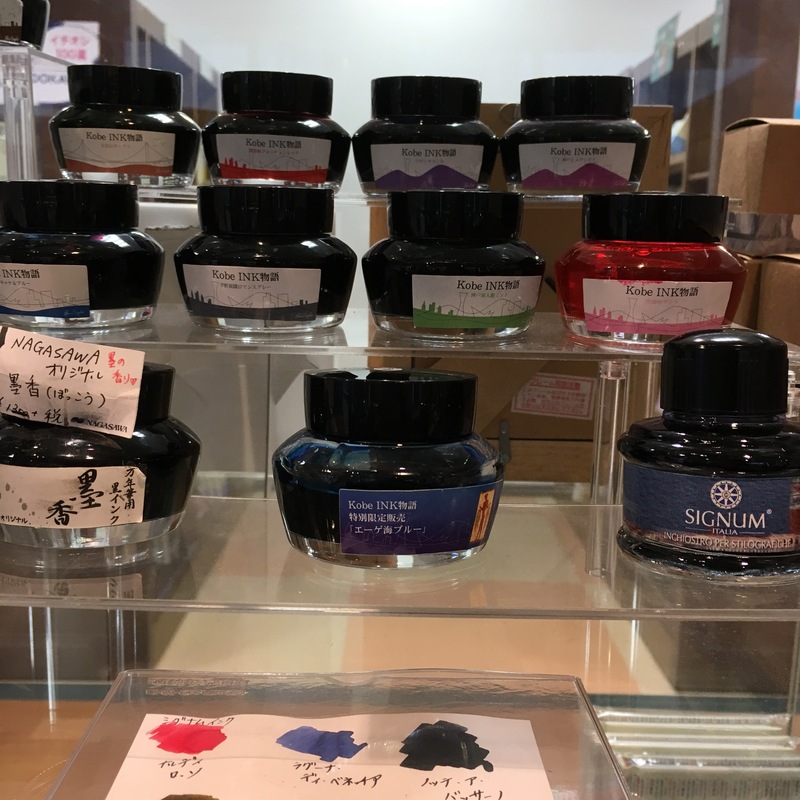 In addition to their own line of Sailor inks, they also had a great selection of other brands’ inks. It’s actually a little kiosk thingy inside Maruzen. And they can handle tax free for you as you pay — so no need to shuffle around to another counter. Mr. Morita was super friendly, but was also the pushiest person I met in Japan. He kept offering to show me different things. More funny than annoying though. He also has a line of exclusive Sailors — third row from the top, right and center of the divider — robin’s egg blue! 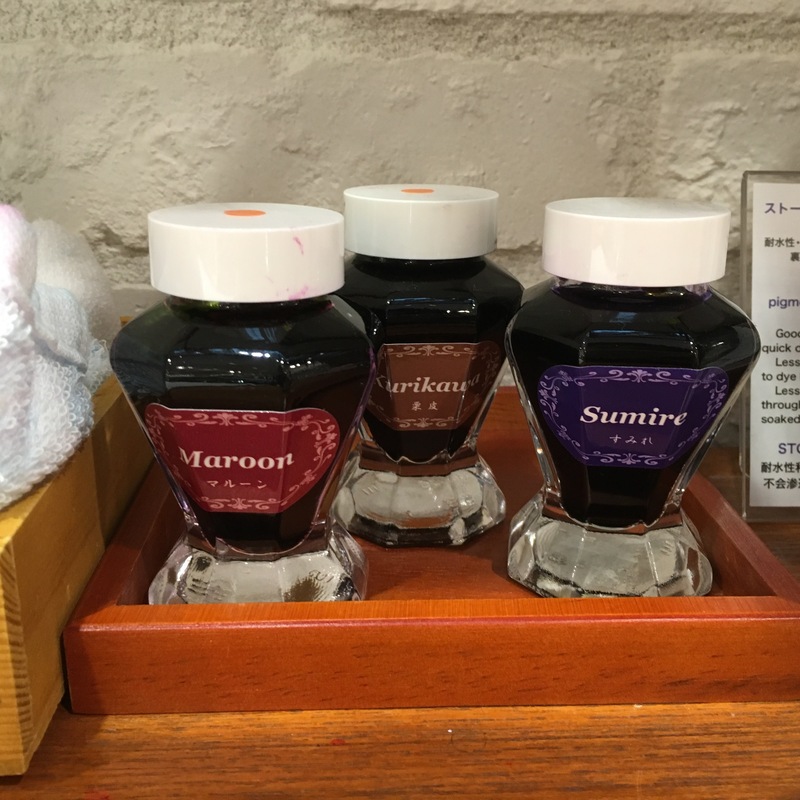 And two exclusive colors of ink, Red Wine and Shade Green — swatches to come! Also at Hanshin-Umeda station was Hanshin department store. 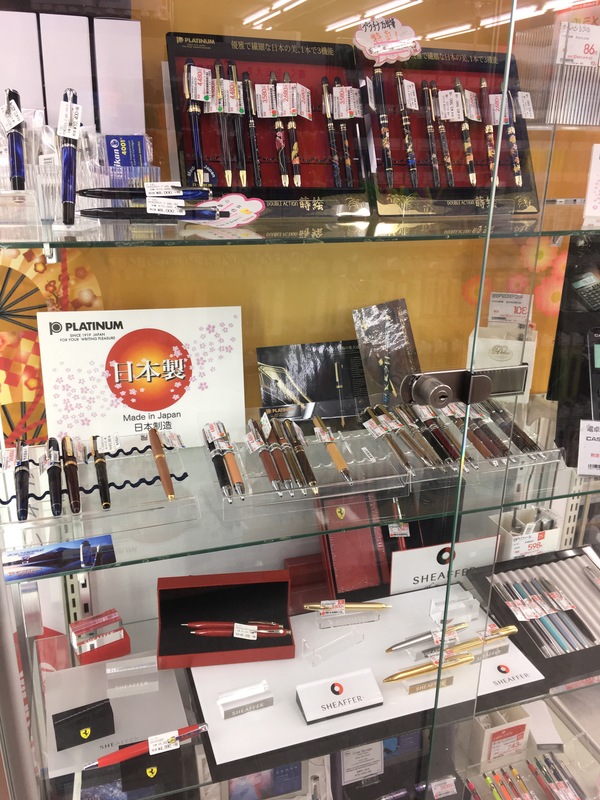 They had a small selection, but I wouldn’t go out of my way and instead spend more time in Hankyu or at Nagasawa. The Namba Takashimaya has a Maruzen inside it — in the basement and slightly across the subway station. 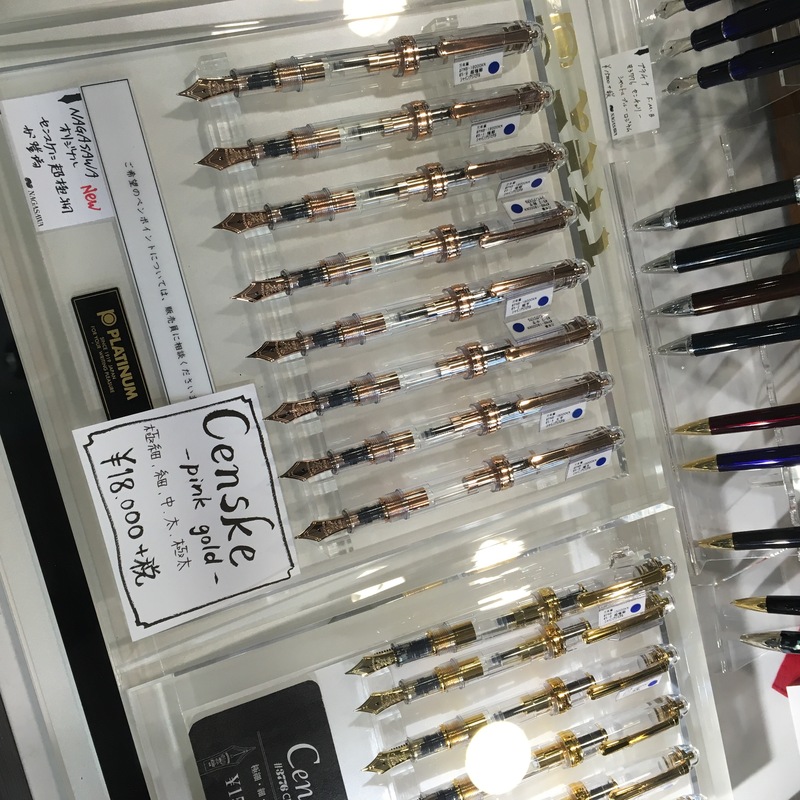 Like the other Maruzens, a decent pen selection and they carry their Athena inks in black, blue, blue black and sepia. 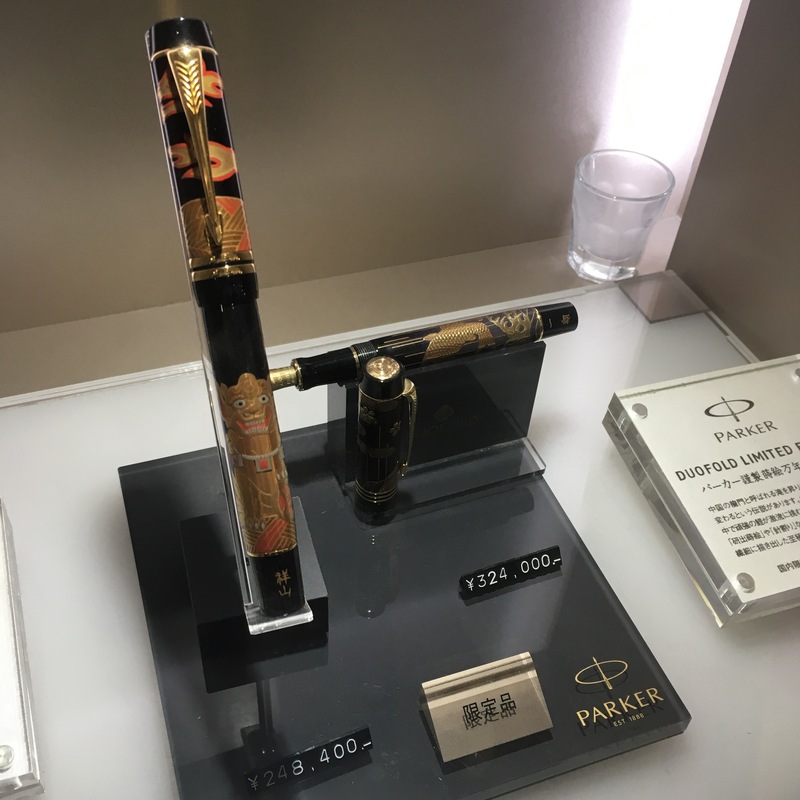 And they had this Duofold on display. I think it looks a little derpy. But wow that’s a lot of money. I also made it out to Kobe, to eat beef. And we finally found a Nintendo Switch at the Toys R Us in Kobe Harborland. 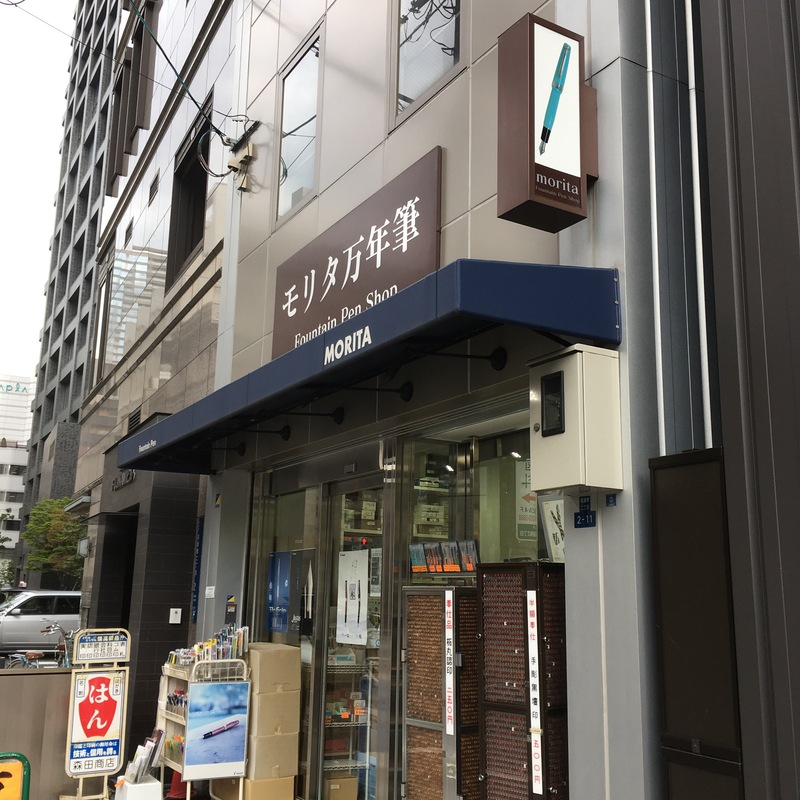 There is a Nagasawa there too, but it’s primarily a stationary store, not a fountain pen store. And they had a no picture policy. So, no pictures. 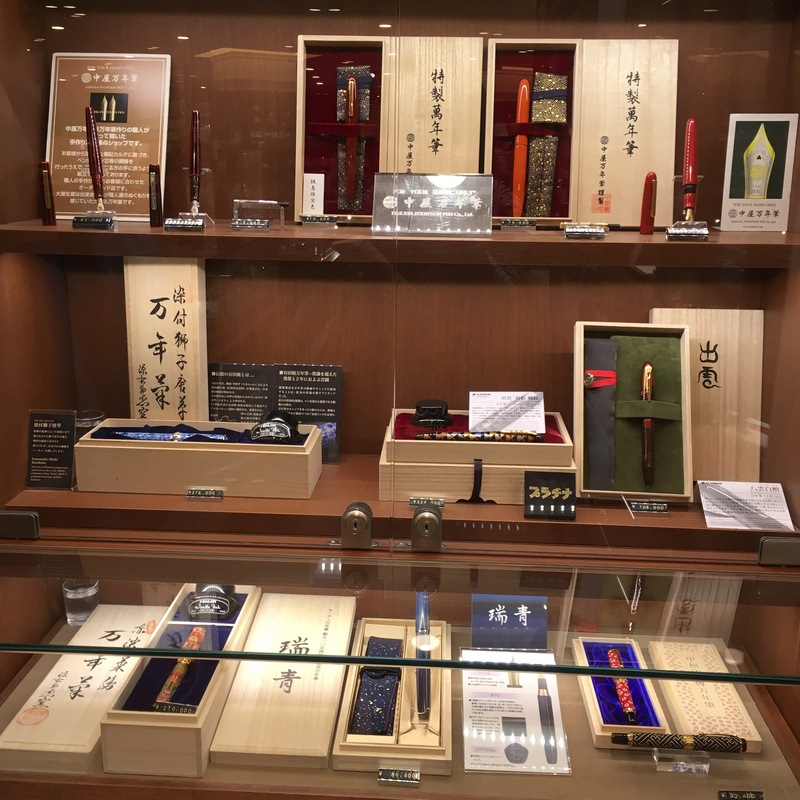 Instead, here are pictures from the Kobe Nagasawa Pen Style Den. It’s on the third floor of a small ish building (and one train stop away from Harborland), once again a kiosk inside a larger store. But, unlike the other Nagasawas, this one carries vintage! 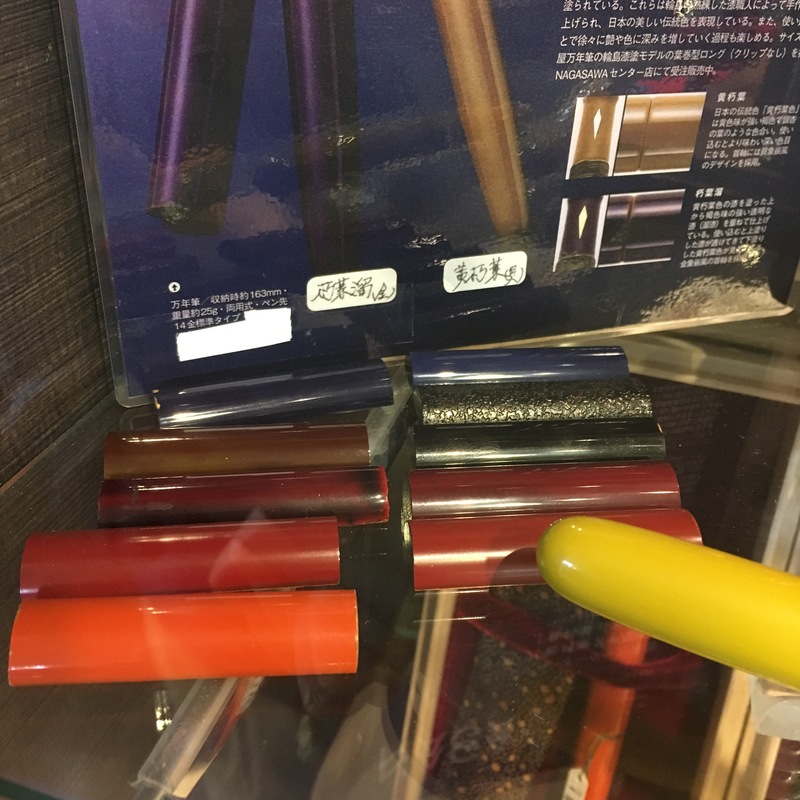 (At crazy prices) And two store-exclusive designs of Nakaya Maki-e converters. And a case of this year’s Oeste Prera. (Which the other Nagasawa had too, I just forgot to take a picture). 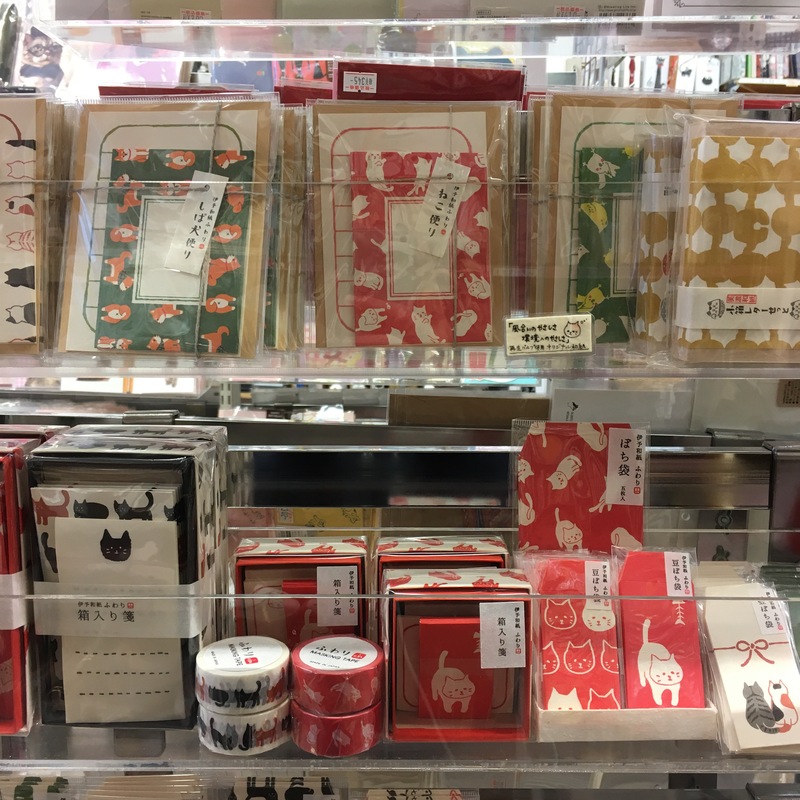 We also stumbled upon this Stationary Store (that’s what Maps calls it, I can’t figure out what it’s called otherwise) that is ENTIRELY CAT THEMED. 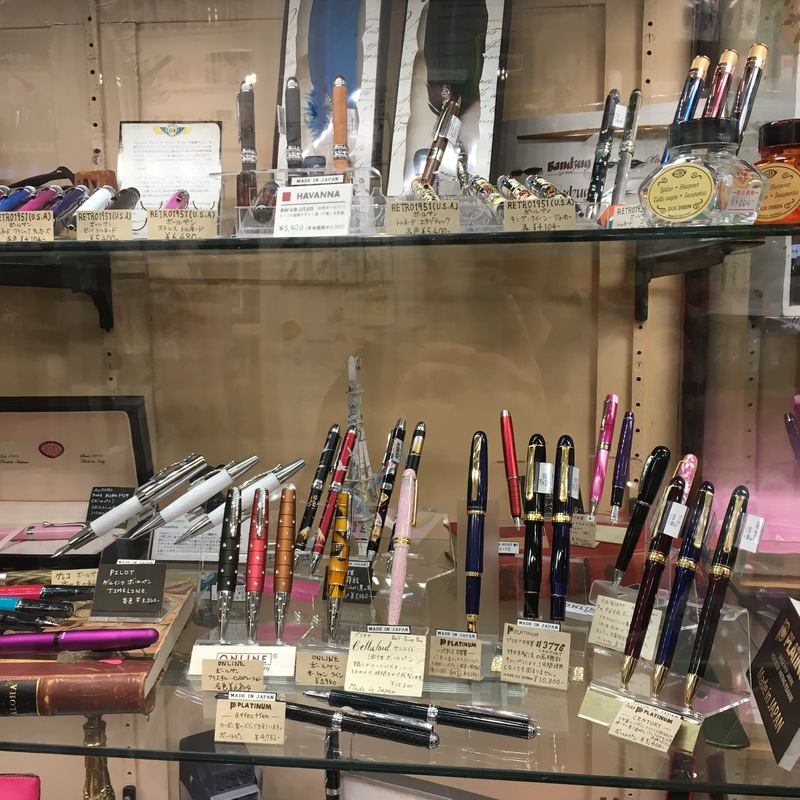 They do carry a small selection of fountain pens, but also cats everywhere! 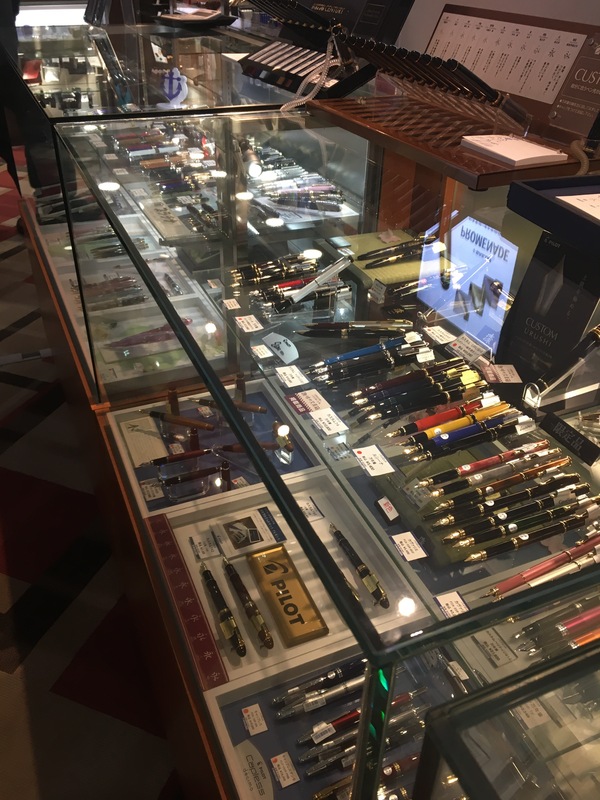 I had been warned that there wasn’t much fountain pen shopping to be done in Osaka — so I was pleasantly surprised. 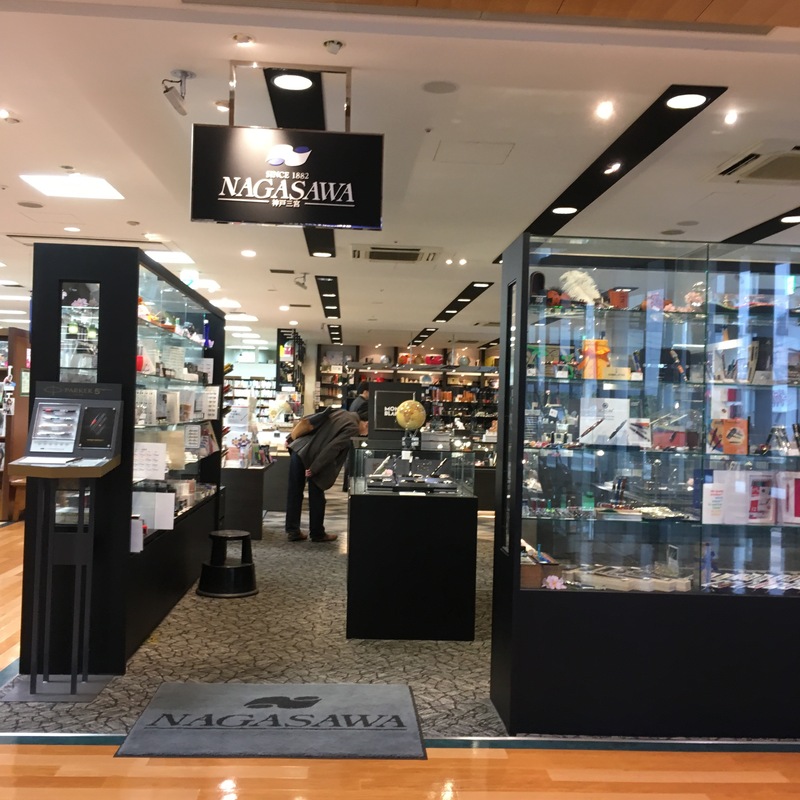 The Nagasawa stores had the largest and most varied selection of Nakayas, as well as their own interesting exclusives. And Osaka was full of delicious okonomiyaki. But I forgot to upload pictures. This is all so delicious. Thank you for taking us along on your trip! Saving this as a reference for my next trip! Thanks to this article, my weekend trip was very very fruitful. I got lost trying to get to Nagasawa from the subway and belatedly found out that the Nagasawa website had pictorial directions. 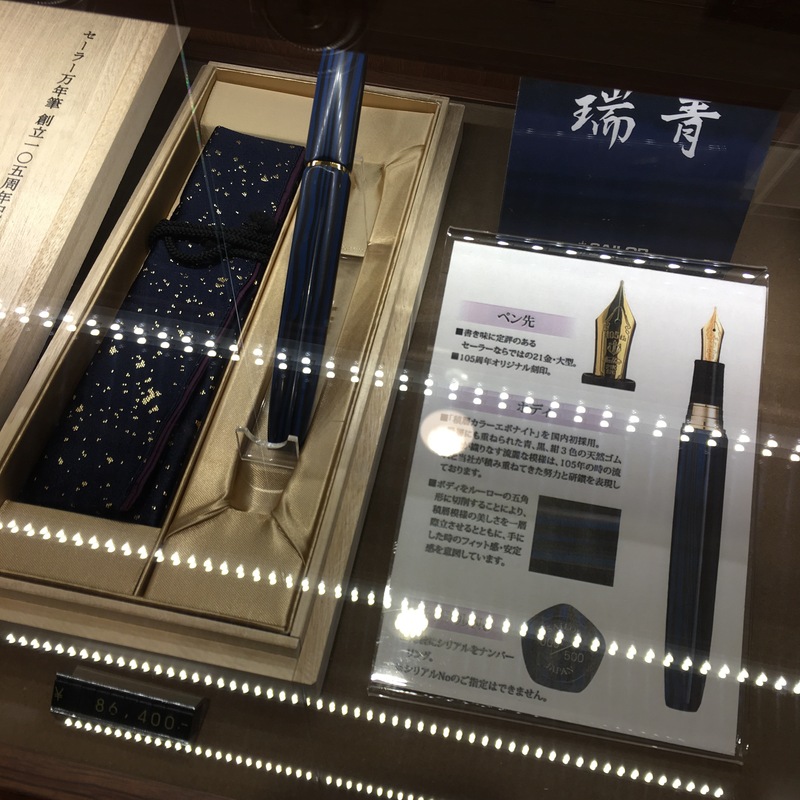 And because of all the pointers, I was able to zoom in on the Nagasawa Originals. I would have been too overwhelmed otherwise. I’ll be looking to you for advice when I go to Tokyo next. I will have more time to just look, admire and consider. I had too little time in Nagasawa to make choices but choices I did make! Thank you for the article and the advice! 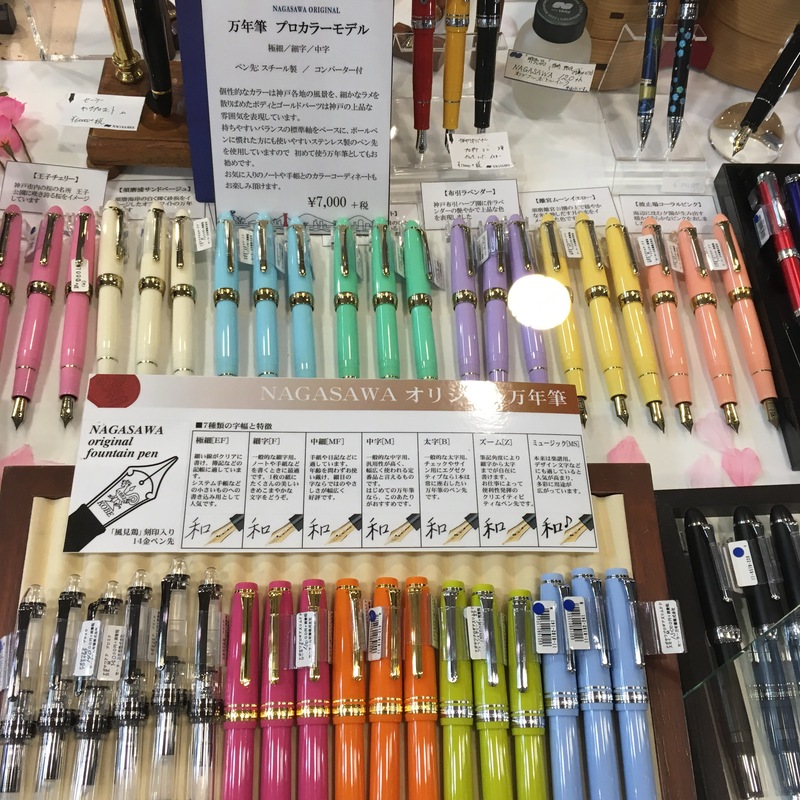 The next time i got to Osaka, I’ll go to Morita Pen. Hello Rajesh! Katherine is traveling right now and I just saw your comment. 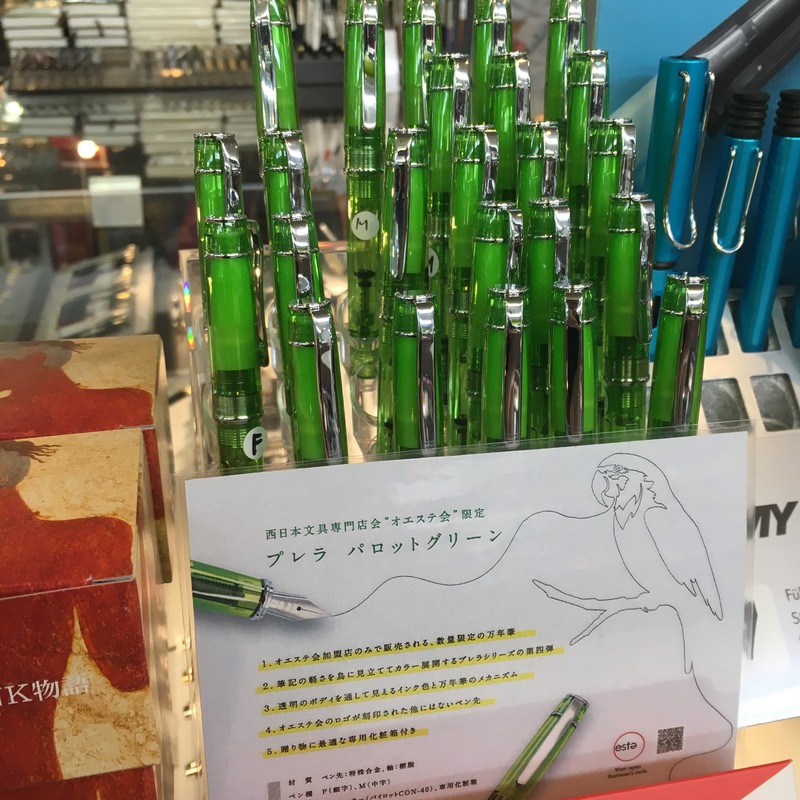 She says that she doesn’t remember specific stores for the nib options you’re looking for. 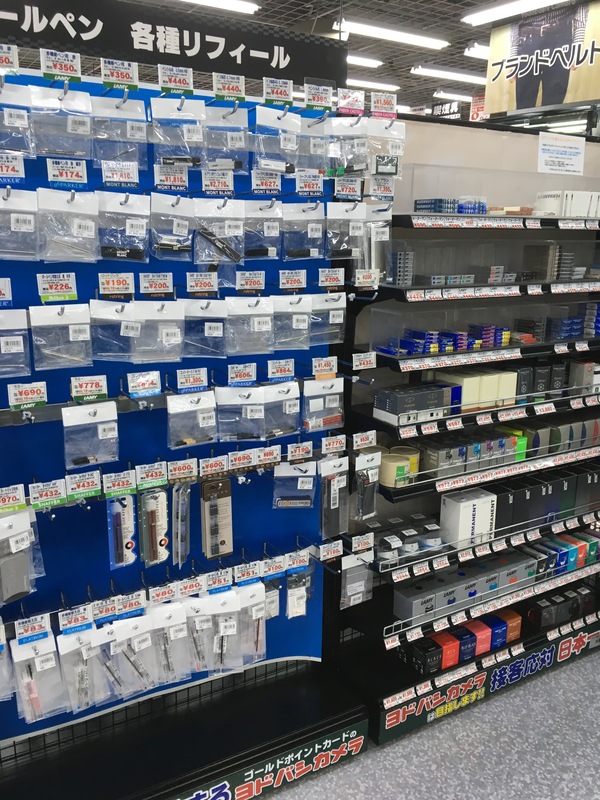 But most stores have the standard nib sizes and the larger stores will have more. Thank you so much for the photos and the detailed and helpful information. The photos are most appreciated. You must have had a blast! I’m so glad for your article. Well done!